The photo emulsion method of screen printing makes fine line drawings computer generated images various hand and commercial lettering and photographic half-tone positives. 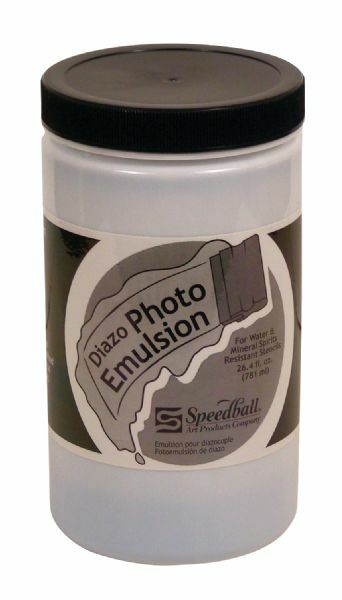 * Quart of photo emulsion must be mixed with Diazo sensitizer (#4578). * Sensitizer bottle sized to fill ¾ with cold water and mix well. * Must add contents of entire bottle to Diazo Photo Emulsion (#4579). * 3-year shelf life unmixed. 6.75" x 3.75" x 3.75"